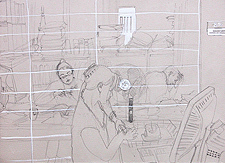 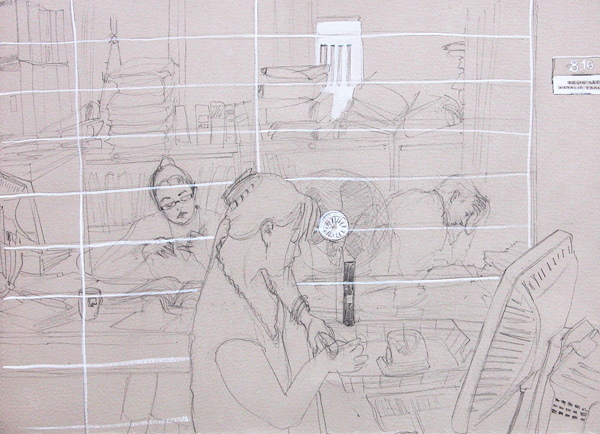 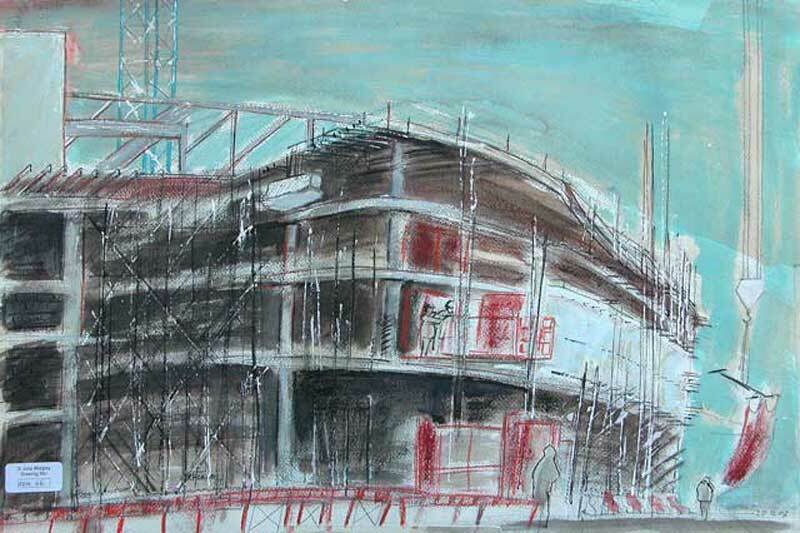 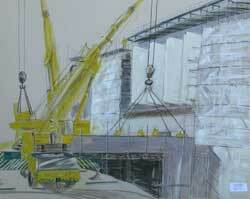 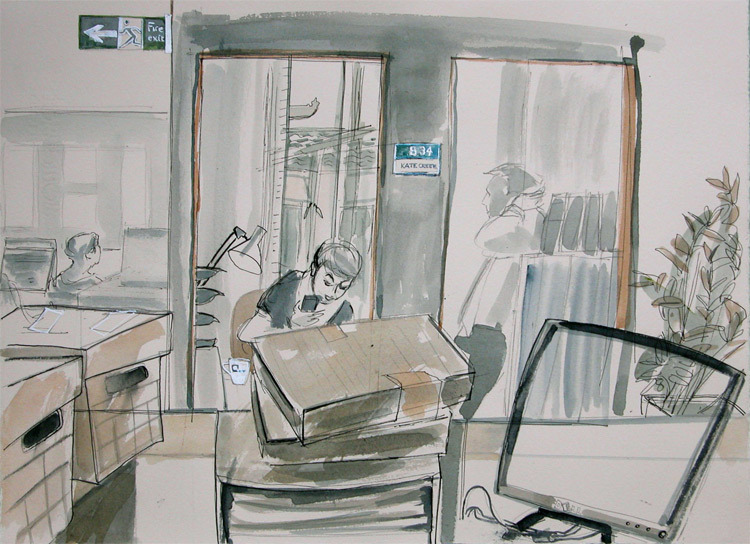 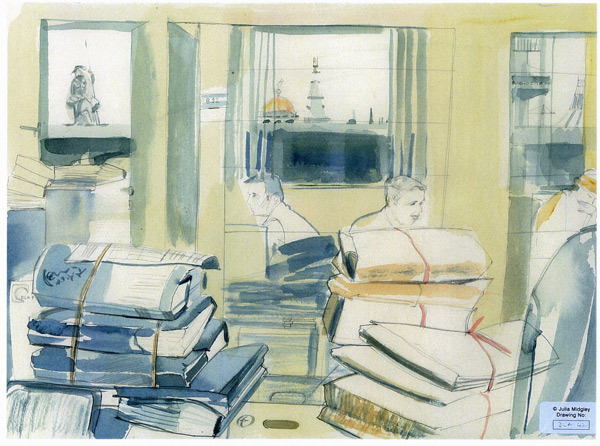 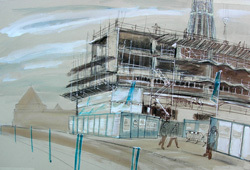 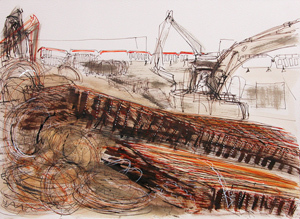 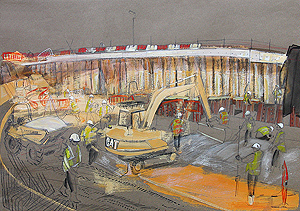 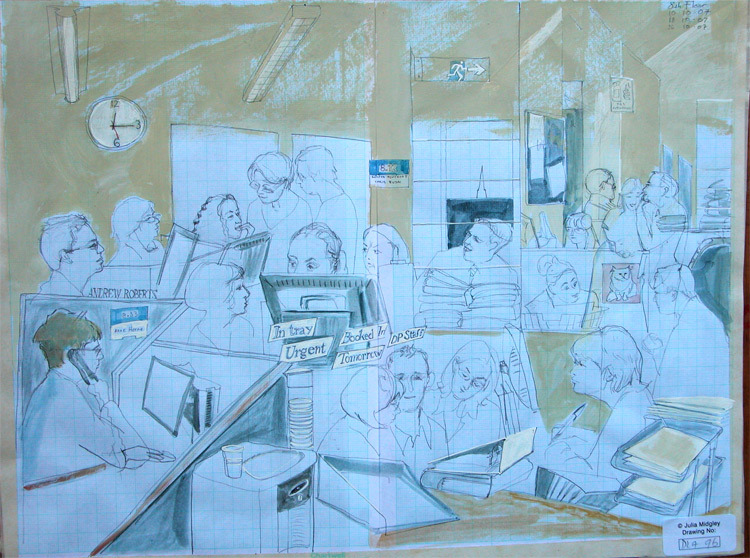 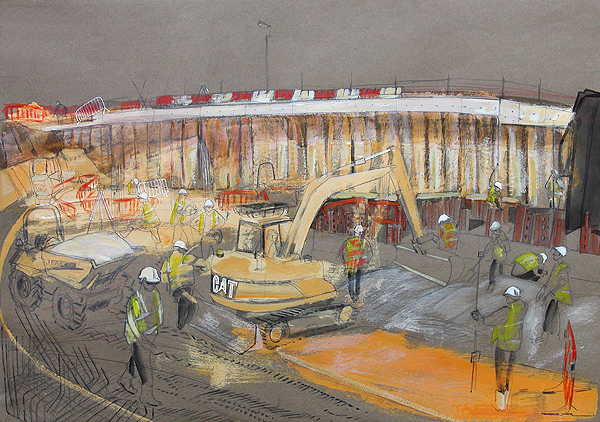 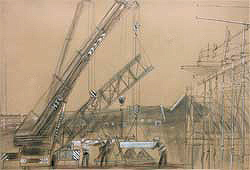 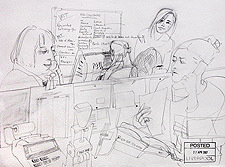 In March 2007 I was appointed DLA Piper Artist in Residence for the new LJMU Art & Design Academy. 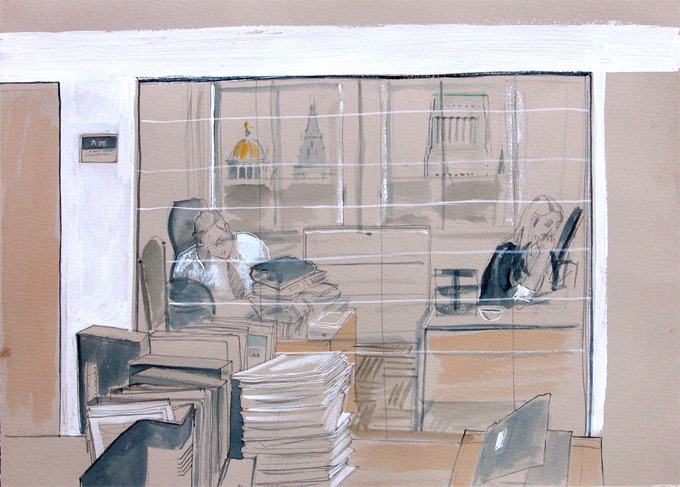 "DLA Piper has opened the doors of its Liverpool legal practice to one of the UK's leading documentary illustrators as part of a unique 'fly on the wall' initiative." 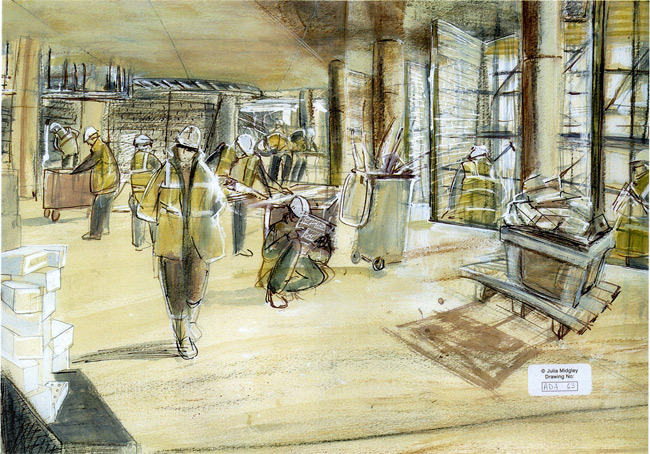 Thanks to DLA Piper's sponsorship I was able to chronicle the development of the University's new £23 million Art and Design Academy.